On Wednesday, the Oshawa Generals announced a trade with the Sarnia Sting that sees overage forward and Philadelphia Flyers sixth round draft pick Anthony Salinitri move from Sarnia to Oshawa in exchange for two second round draft picks and a fourth round pick in 2020. Salinitri comes to Oshawa as a native of Windsor Ontario where he played close to home in his minor hockey days as a member of the Windsor Jr. Spitfires. In 2013-14, Salinitri was captain of the Jr. Spitfires and was drafted 17th overall in the first round of the OHL Priority Selection by Sault Ste. Marie that summer. After just 21 games with the Greyhounds in 2014-15, Salinitri was sent to the Sarnia Sting in the Anthony DeAngelo trade as the Hounds stocked up for a deep playoff run. Salinitri soon became an important piece of an upstart Sting roster and was drafted by the Philadelphia Flyers in the 2016 NHL Entry Draft, 172nd overall. Salinitri followed up his draft year with back-to-back 58 point seasons with the Sting, finishing top five in team scoring each year. Salinitri has played 25 games so far this season in Sarnia, recording 28 points, just three behind Hugo Leufvenius for the team lead. 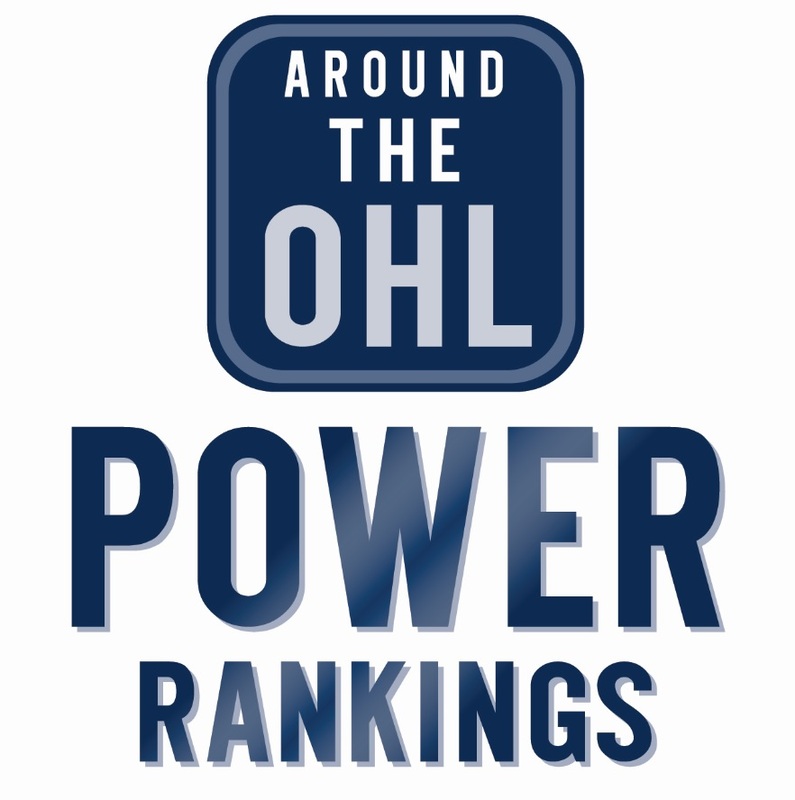 Salinitri joins the 15-8-2 Generals who are placed third in the OHL’s eastern conference. The Oshawa Generals made some early season trade noise when they made a move to send Domenico Commisso to the Guelph Storm for a small collection of draft picks. That left Eric Henderson, Cody Ceci, and Matt Brassard as their three overage players. Now in an interesting turn of events, Oshawa bring in an equally skilled player, some may even say more skilled than Commisso, with Salinitri. It’s a similar asking price too, with the Gens giving up two seconds and a fourth after they acquired two seconds and a fifth for Commisso from Guelph. Although the Gens are tied for second in the east at the moment, many can’t help but think there’s still more potential on the table for this team. Especially after their slow start to the season. On many nights, Kyle Keyser has been the difference. Salinitri won’t solve many problems defensively, but he’s certainly a dynamic offensive player in the top six. Oshawa seem to have found some good chemistry with Jack Studnicka, Serron Noel, and Nando Eggenberger on the first line. But there’s a healthy chance that’s going to be broken up come World Juniors time. Salinitri will pay big dividends for that time of year and can be a consistent point producer the rest of the season too. With four overage players now on the roster, Oshawa need to make another decision as to who the odd man out is. Many believe backup goaltender Cole Ceci could be out of the picture, but the potential of moving either Henderson or Brassard to another organization exists too, albeit less likely. For Sarnia, it’s fairly clear to see at this point that they’ve taken a step back from last year. It’s too early to call for a fire sale, but many imagined the Sting being sellers at the deadline, and Salinitri would’ve been one of the most enticing pieces they had to offer. They get a couple good draft picks, especially with Sudbury’s second rounder in the 2019 draft. The Sting may not necessarily blow up the whole roster, but it would be a surprise to not see them make a few more moves like this one before January 10th with long term benefit in mind. Tags: Anthony Salinitri, OHL, OHL Trades, Oshawa Generals, Sarnia Sting. Bookmark the permalink.